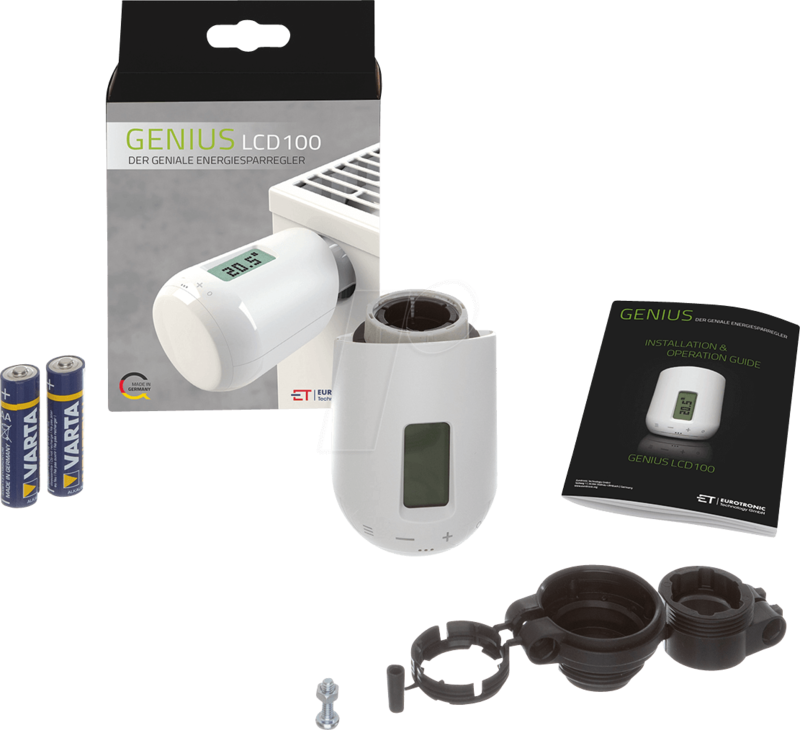 Genius LCD 100 revolutionizes the electronic radiator thermostat market with a new design and unprecedented functionality. 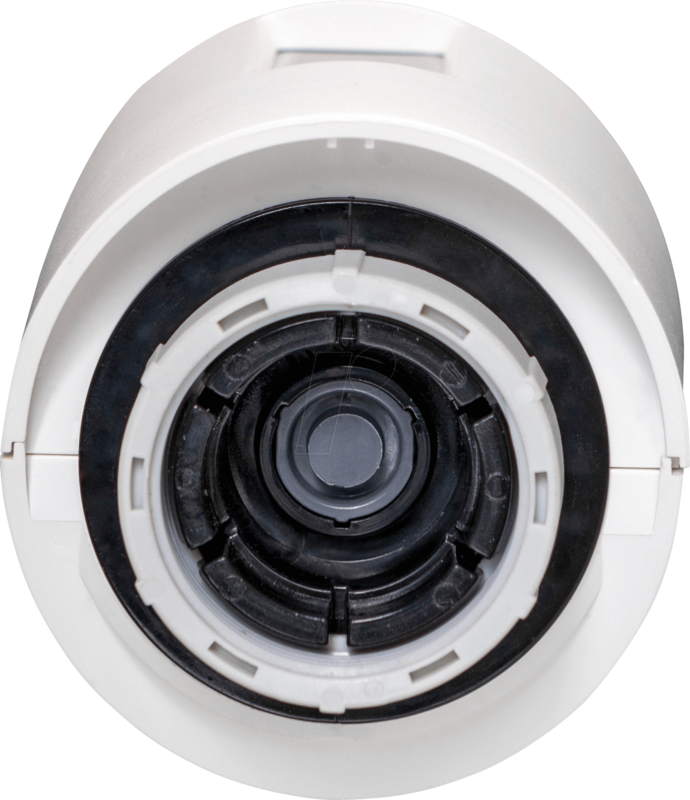 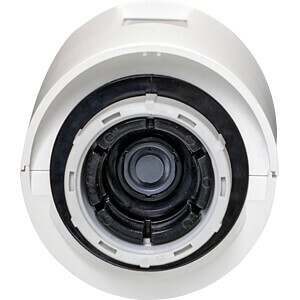 By using sensor keys and dispensing with mechanical controls, a convincingly simple design has become possible. 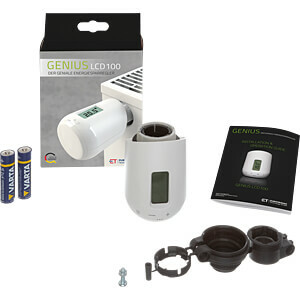 Genius LCD 100 displays set temperatures in an easily understandable manner via an LCD display with "Smart Dot Display" and thus also allows graphic symbols to be displayed that are particularly easy for the user to understand. 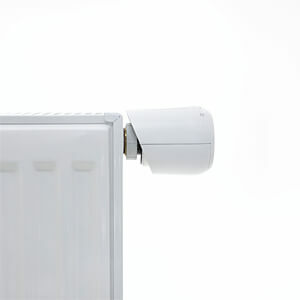 Alternatively, programming using Fast-Link technology is also possible. 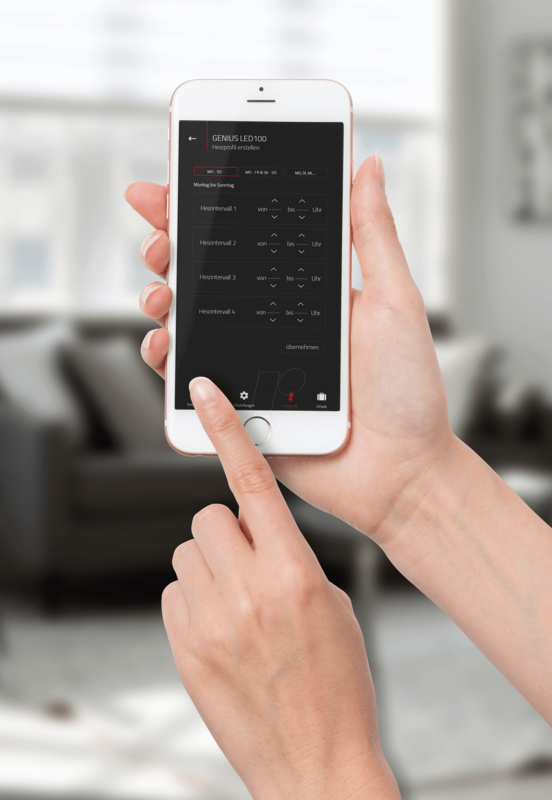 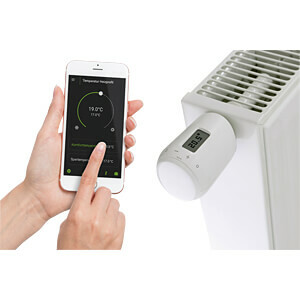 The individual heating plan is created by the user using an app. 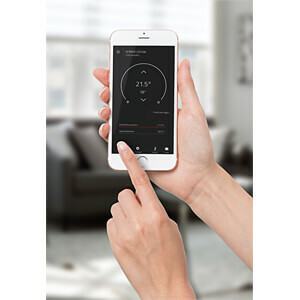 By "holding" the smartphone to the GENIUS heating thermostat, the heating profile is then transferred without contact. 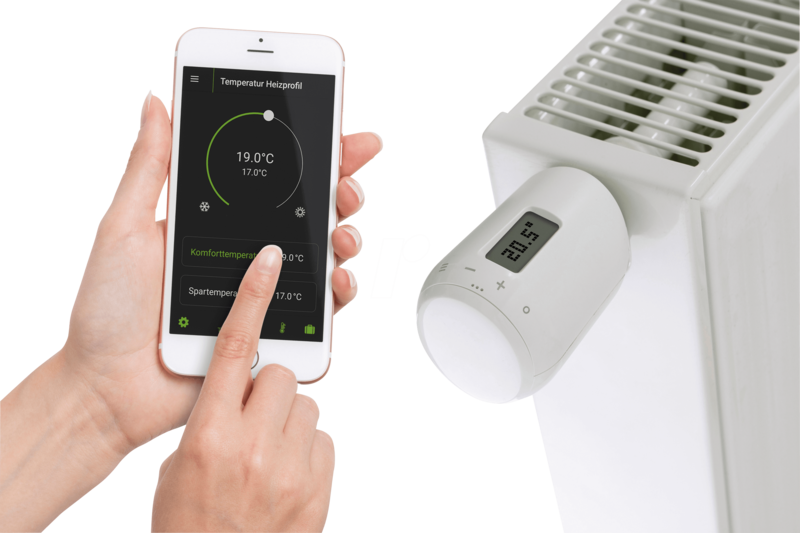 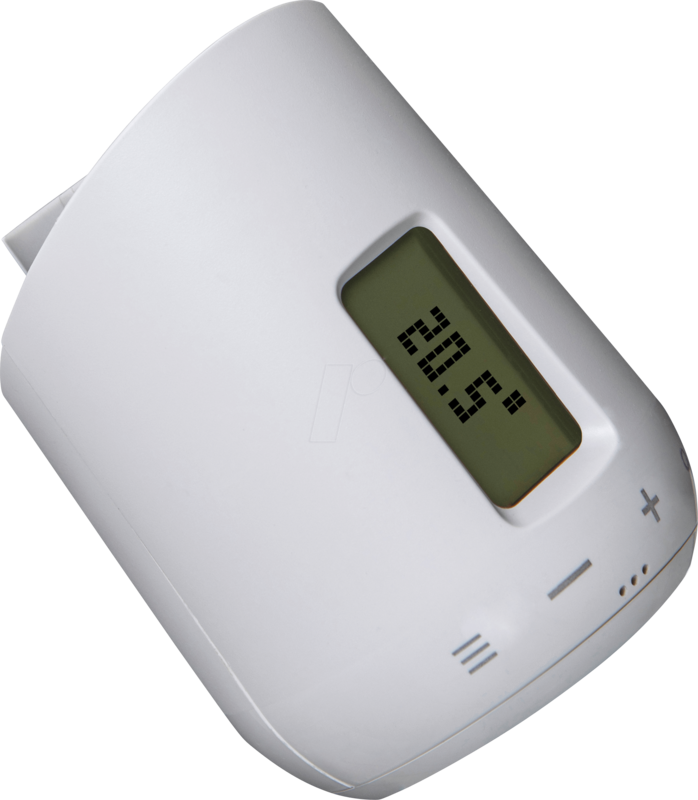 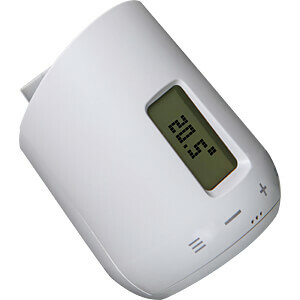 This innovative "Fast-Link" technology makes it possible to program several heaters in the house simply and quickly. 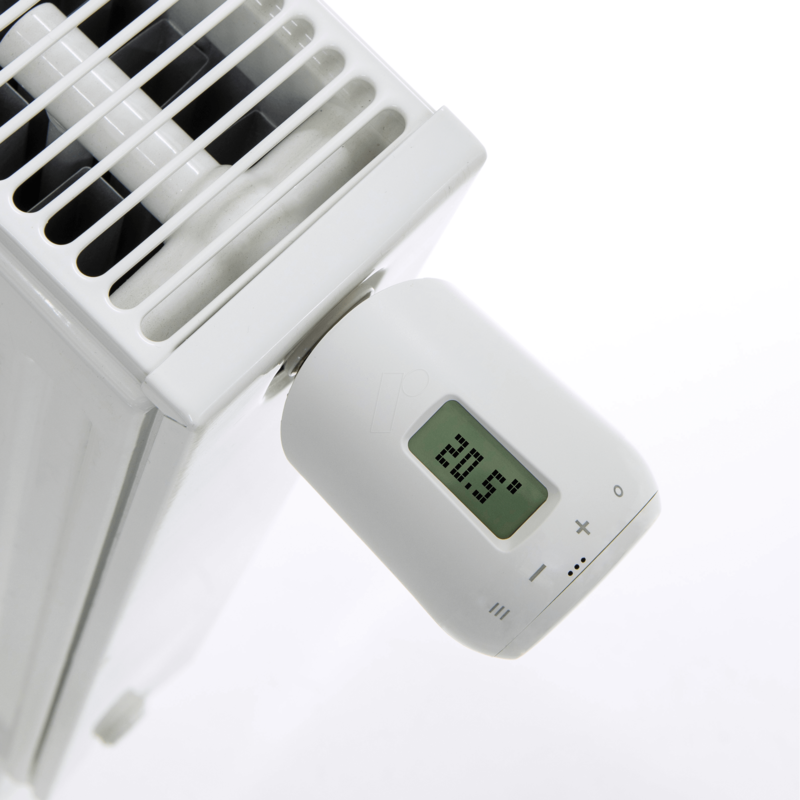 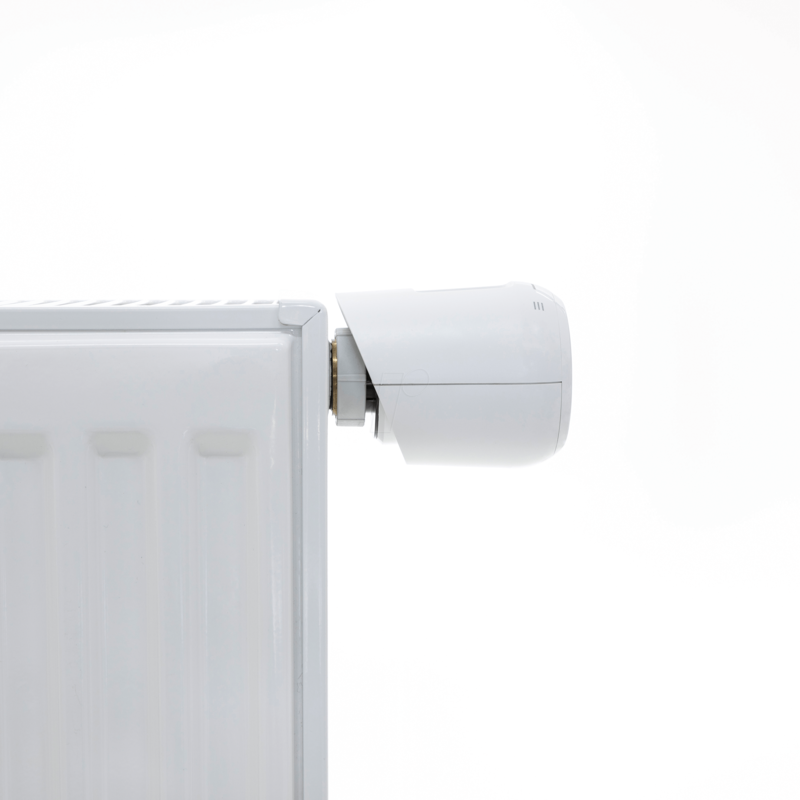 Using the "Adaptive View" function, the display content of the LCD can be rotated by 180 degrees so that the viewing angle can be perfectly adapted to different installation situations, such as mounting on the right or left of the radiator.